Are you flicking or staying around for the finale? 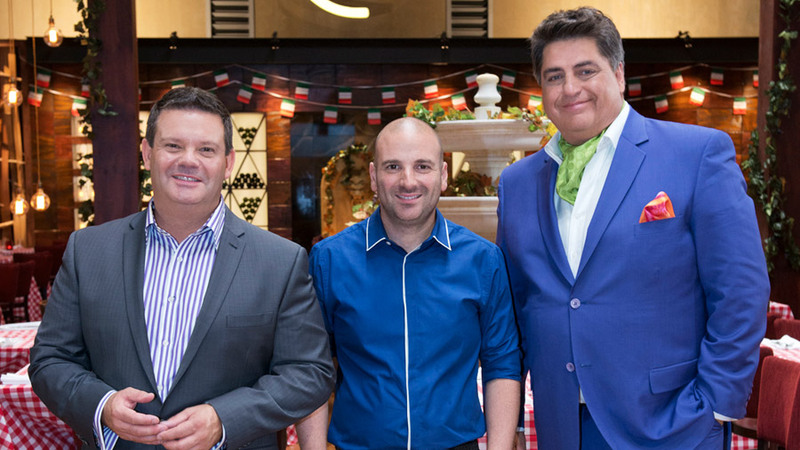 Anybody watching Masterchef Australia – season 5? Well I am. I love it. Well, I used to love it. Now I like it. What about you? Are you finding yourself flicking channels while sweat pours off the contestants brows? Or are you still glued, notebook at hand, compiling notes on how to produce some fine-dining in fifteen minutes flat? I’m flicking a bit, not quite sure if I’m ready to swap it for yet another repeat of repeat of repeat of Friends, or Jag if hubby takes hold of the remote. So here we are then. Faced with the final ten. The crème de la crème. The ones with gravy running through their veins. The ones whose hearts were formed from chocolate mousse made with thick full cream. The ones born with a chef’s knife in their mouths – you know what I mean. Or as Gary often tells us, the top ten amateur Chefs in Australia. Well I’m not going to argue with him over that, because I’ve not sat at many Oz dining tables in my time. But if those ten are the top ten, then the remaining gazillion Aussies must really serve up some codswollop. No, I’m afraid this season the contestants have been lacking some serious kitchen skills, and that comes from somebody with no skills of her own I hasten to add. There is also glaring evidence of inability to drive, read a map, milk a goat, wrestle with a mortar and pestle at alarming speed, or even record an individual 100 meter sprint record when faced with moments in the fully loaded, or should that be laden, pantry. Honestly the things these contestants have to do, you’d think they were on a combined Amazing Race and Survivor show. What happened to people competing against each other using their kitchen skills? Now all we see are contestants crying and or sobbing when the pressure gets tough, which to be fair is not unreasonable when staring wide eyed at a two hour recipe that in real life would require three days prep and several anti-depressants. With all of that in mind, In the coming weeks, when life slows down a little for me, I’m thinking about having my own mini-Masterchef Cape Town in my kitchen. I’m going to let Hubby find the trickiest recipe he can find, cut off about 10% of the cooking time, and then have me let loose with appliances and sharp knives to produce something he may quickly learn to regret choosing when he settles down to taste. This season the contestants are not brilliant! I am not that fond of Noleen either, and I am wondering how some of the competitors are still in it to win it! so true. And the ice-cream cake challenge while entertaining was so unfair. My husband watches an American show that’s similar to that. He loves it too! good for him! hope he cooks for you too. I don’t get to see MC Oz, but it sounds much like the Ultimate Braai Master that was on SABC tv. I do watch Chopped from time to time and even a bit of Hell’s Kitchen. Anyway, I do not learn much from those sort of programmes and I’ll stick to my own kind of cooking. It makes me sooooooo hungry! agreed, sometimes you just want to run to the kitchen and eat everything in sight! Whatever the language or country, I regret that I have yet to develop any enthusiasm for watching people mixing and incinerating stuff simply in order to have it tasted. I suppose it is no sillier than individuals or groups trying to direct various-sized blobs in certain directions and according to given rules, but still.